Authors know that Theme, or Point of View, colors all aspects of their stories. Consider Theme to be like a frame through which Authors perceive and present what unfolds for their Heroes: it is a filter, a lens. Are you familiar with the common expression, “Is the glass half-full or half-empty?” Depending on your answer, folks may assume your worldview is generally optimistic or pessimistic. This means that given the same facts of an event, a Half-Full person will have one story to tell, and a Half-Empty person will have a different story. I share this example to illustrate how a point of view, a filter, influences a Hero's perception of things unfolding in her life. There's another function of Theme. In stories about transformation, there is an arc: a progression unfolds along the Theme. We typically witness the Hero suffer on one side of the thematic coin, struggle to change, and ultimately fail or grow after experiencing the other side of the coin. Ever heard the phrase, "Your vibe attracts your tribe?" 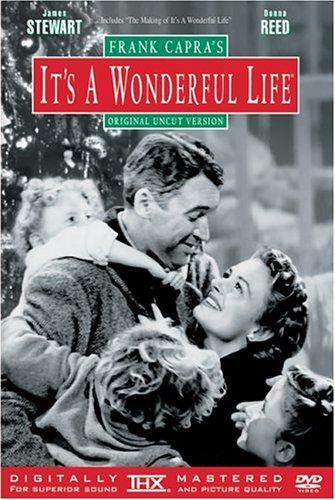 Let's look more closely at this concept by talking about George Bailey, the Hero in the story, "It's A Wonderful Life." How would you describe the Theme of this story? George Bailey lives in a small town where his father runs a local business. All George wants is to leave the town and "see the world!" Over the course of the story, you guessed it, he keeps getting blocked from ever leaving. At his lowest point, he has had so many obstacles and disappointments that he considers drowning himself. Let's say that the Author of George's story chose Sacrifice as a Theme. By the end of the story, George comes to view his sacrifices in a new, empowering light: he sees the positive ripple effect his choices have had, and he embraces others' sacrifices to help him when he's in need. What if the Author chose Redemption as a Theme, instead of Sacrifice? In this case, instead of coming to a place of considering suicide, perhaps George would come to consider the most desperate, irredeemable act he could imagine to relieve his desperation: a crime, a betrayal, an abandonment. These two examples demonstrate how Theme frames the events and choices that George, the Hero, might encounter. He's still George, a guy who lives in a small town who wants to see the world. But, the details along the path to what he wants are colored by the Author's theme for his story. So, you. You're the Hero of your story AND the Author. With your Author hat on, you can step back and examine what filters you're bringing to your life experiences. If you uncover that you're programming your story with a Theme that's bringing out the worst in you too often, experiment with reframing it. Start with this. Dig in and ask what is the "mean message" you get from people (or yourself) that feel like villains? A black cloud always follows you. You're not smart. You're too slow. Nobody will love you. You can't do anything right. You're not my equal. You can't leave me. Now, what is a word or phrase that is the TOTAL OPPOSITE of that "mean message?" Sunshine & Silver Linings, That's Me. I'm A Smart Cookie. My Pace Allows Me To Do Stuff With My Best Effort. I Am So Loved. I Do Things Well With Focus & Ability. I Deserve Respect. I Deserve Independence. Between the "mean message" and its opposite, is there a word that describes a Point of View behind them? A life-long theme for me is Constancy. I've gotten insights before about being here for Patience, but my understanding of this has evolved. Over the course of your life, imagine your story is a series of books, not just one. 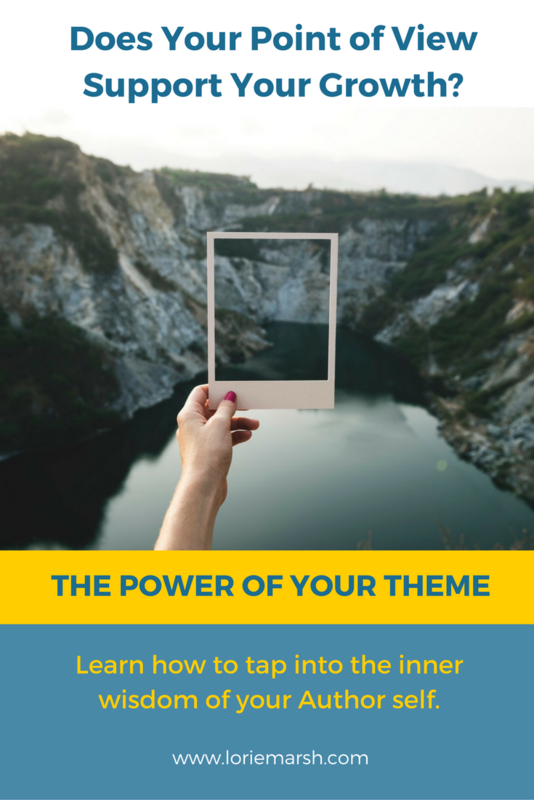 Within each book, you'll have chapters with sub-themes that contribute to your understanding of your story. From Book One to Book Ten, the theme in the first one might be Inspiration, and in the tenth one it might be Constancy in Service to Inspiration. As I've struggled through these, I've come to understand the necessity and value of Constancy as a core theme for me -- which enables me to make choices going forward that foster my personal growth, not stymie it. I choose to color my experiences through this filter - not lenses such as, "I never finish anything. I can't stick with something, because I always get bored. I can't decide what to do, or which path to pursue..." because I choose improvement and growth for my Hero self. How about you? As the Author of your life story, what Theme do you want coloring your Hero's experiences?